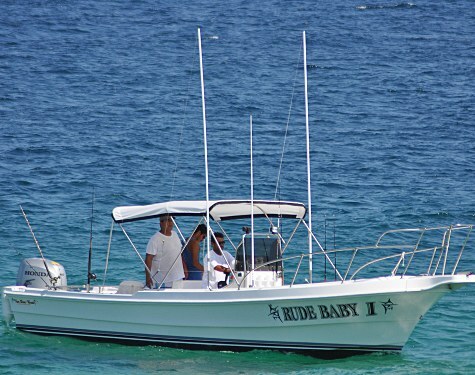 $325 per day - The Rude Baby is a 25 Foot ""Super Panga"". They will gladly teach you how to hook your own fish. TEAM work.